It’s a funny title to an odd blog post. I know a lot of gun owners who are annoyed by the NRA, but not for the reasons Paul would think. I’ve been observing for a while now the Brady’s are starting to understand more of our fault lines in their attempts to divide and conquer. Paul’s latest article would attest to that. Richard Feldman and Jim Zumbo should start a club. I don’t consider the Brady Campaign to be one of the groups described [that would ban guns] in that last comment, but I would like to find common ground with the NRA on ways to make our communities safer. I’m not sure they’re interested in such an approach, however. How about this, Paul. 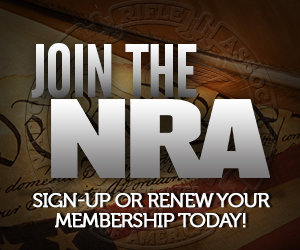 Since your organization isn’t about banning guns, why don’t you join us in getting rid of the ban on firearms in Washington DC? It certainly doesn’t seem to be making Washington DC any safer, except for the criminals. No one is going to take the Brady Campaign seriously about not banning guns as long as they continue to defend…. gun bans. Get it? It’s pretty simple.